Huawei is the poster child for China's dynamic tech sector. It has grown phenomenally in recent years, from a small manufacturer of telephone exchange switches, to become a global leader in the tech industry. While the brand is familiar to many from its mobile phone handsets, Huawei has its finger in many other pies - from cloud services to artificial intelligence. And despite increasing controversy around whether using Huawei telecoms equipment poses a security risk, the block on its business deals in some countries, and most recently, the arrest in Canada of one of its executives, the company itself has continued on its steady path of global growth. That growth came against a backdrop of a rising China, on its way to becoming the world's second largest economy, providing the firm with a huge base upon which to build its initial market, as a springboard to international expansion. Most noticeably for consumers, Huawei has swept into the market for consumer electronics, in particular with smartphones. Earlier this year it overtook Apple in the number of handsets it was shipping worldwide. Shipments don't always translate into phones reaching consumers, but the uptick in production and distribution still reflects a rise in Huawei's popularity, including for both premium models and its lower-priced Honor brand. Expanding sales of smartphones comes despite political hostility towards the brand in some parts of the world, especially the US. There, no carriers support Huawei, so while consumers can buy a Huawei phone, they aren't widely marketed. But it's in telecoms network equipment, which forms the largest part of Huawei's business, that Washington's opposition to the firm is having its greatest impact. The US has banned the use of Huawei equipment in communications networks, warning of security risks and has called for other governments to follow suit. Nevertheless, in all parts of the world, even in the Americas, the market for Huawei products has grown over the past three years. 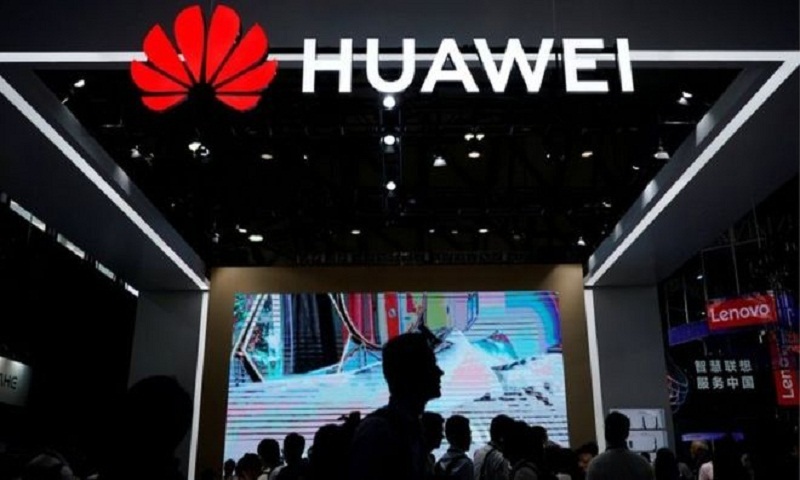 Washington's decision to block the use of Huawei equipment in telecommunications infrastructure on security grounds has been emulated in New Zealand, Australia and Japan. With the US pressing for other governments to follow suit, that raises questions over whether the firm's global expansion is set to be curtailed in some regions in the near future. Currently though, Huawei is holding its own in one of the largest parts of its business, the sale of mobile telecommunications infrastructure equipment, such as that needed to support the roll-out of faster 5G networks. But how much Huawei continues to grow, won't depend only on political attitudes in Western capitals. It will depend on how well the Chinese tech giant's products compare with its competitors. In the past, the firm has been accused - like many Chinese companies - of copying technology developed in the West and then undercutting rivals on prices. But Huawei is currently outspending many other global players in research and development in a bid to gain a future edge. Prospects may not be as bright for Huawei now as they used to be, given the political squeeze from the West. But, the firm went through the financial crisis unfazed thanks to a powerful domestic market in China, IHS Markit industry analyst Stephane Teral points out. The same could happen again if it loses more contracts in the West. "Huawei went through this unfazed with no problems, because they were able to diversify at a time when China was just taking off, including telecoms restructuring, that really helped Huawei," he said.